After 7 long months of fundraising and raising awareness for Soldier On, my fundraising page has closed and it’s time to just enjoy riding and enjoy some time with my Wife, family and friends during the Holiday season. Just because I don’t have an active fundraising campaign running anymore doesn’t mean I won’t be raising awareness for Soldier On. I still have a 3 hour cross-country race in 2013 and have already committed to several big races in early 2014 including the 100km Capital Punishment and The Mont 24 Hour. 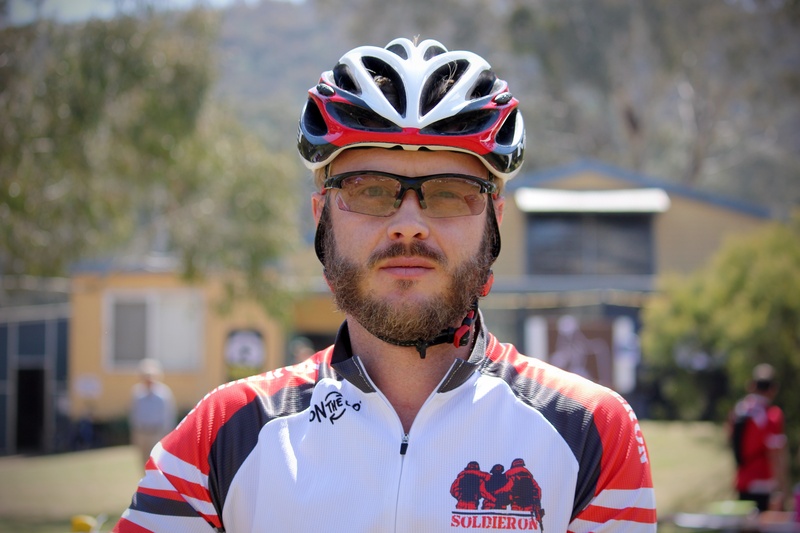 At the end of the day, after the countless hours riding, training, fundraising, and banging the proverbial drum I am confident that I have helped raise the profile for Soldier On and the battle that young veterans like myself fight on a daily basis. SOLDIER ON for their support throughout this year especially John, Anna, Meredith, Dion and Tony for their amazing support & patience. 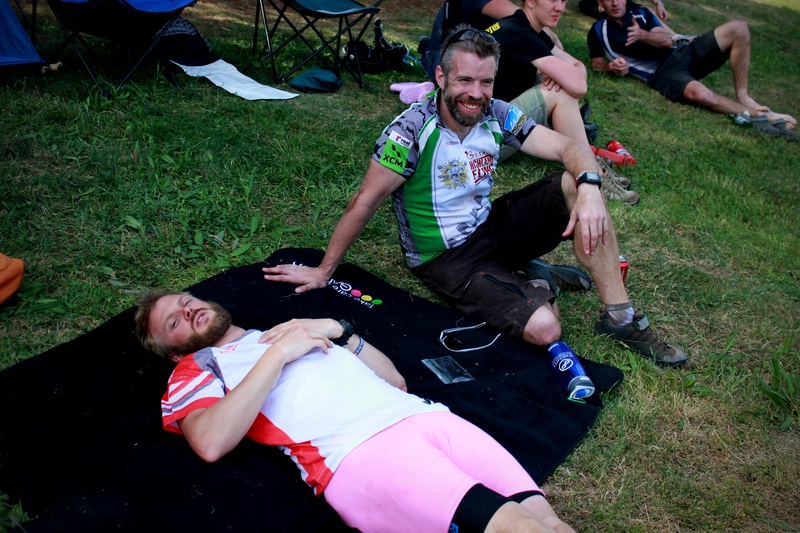 Luke & Dan from BEAST-WORX for running such amazing events and allowing me to be a big part of it. 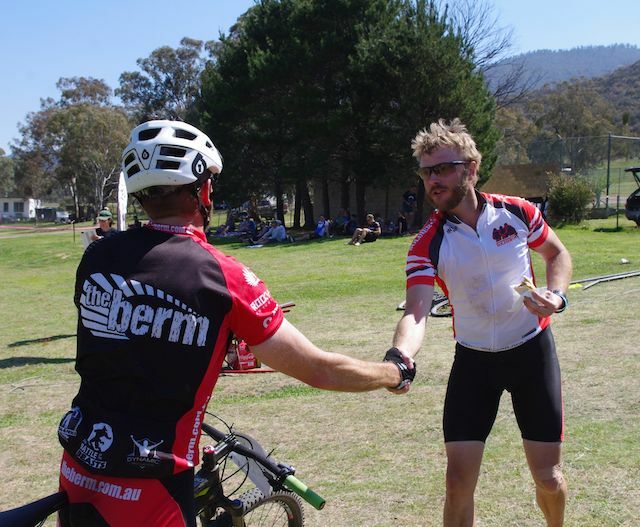 My amazingly supportive mountain biking group THE BERM. Special thanks to Nathaniel, Jason, Nigel & Chris, Ben, Roger, Steve K, Alyssa, Melissa C, Brett, Matt & Sam, Kris, Tony H, Sonja, Andy & Adam. My family & friends especially my Wife for putting up with my many hours away from home & allowing me to spend obscene amounts of money on bikes! And last but not least… The people who supported me & donated money to SOLDIER ON so that wounded veterans can get the support they so desperately need & deserve. 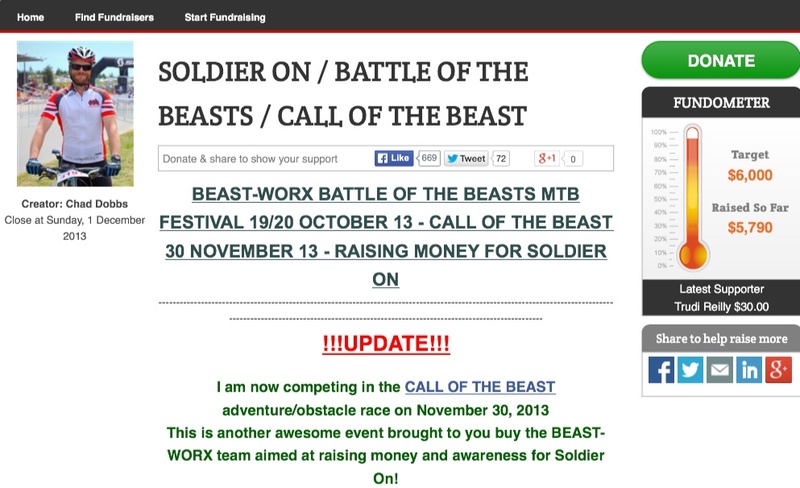 The Call of the Beast was my final Soldier On fundraising event for the year. After 7 months of intense fundraising and raising awareness for Soldier On it was a relief to just be able to go into an event without any pressure. 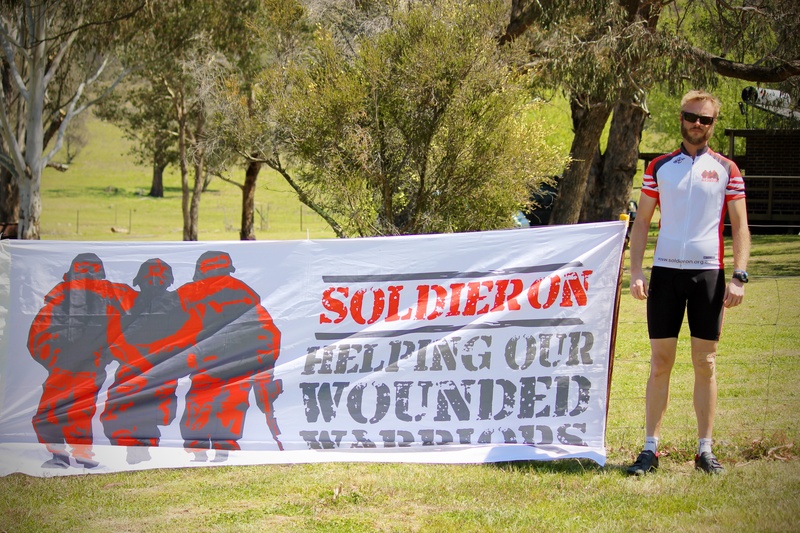 Each time I got on a bike wearing my Soldier On jersey it was an opportunity for me to help raise the profile of Soldier On in the ACT, NSW, QLD and VIC. As of 1 December 2013 I have ridden 5’169km while wearing my jersey and look forward to many more kilometres training in racing in it and the new design jersey and knicks combo that will be available very soon. I was “asked” if I wanted to enter the Call of the Beast just prior to my Wedding in September. Dan and Luke from Beast-Worx were keen to get me out for their new obstacle course race and I was extremely happy to take up their offer. 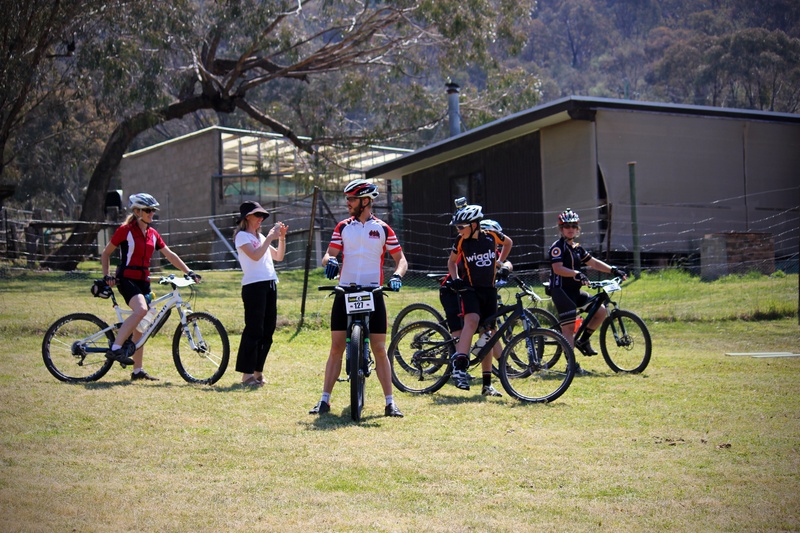 I will be quite upfront and state that apart from my normal riding routine I did absolutely no training for this event. It’s no secret that due to long-term injuries I don’t run. It’s not that I don’t like running it’s just that a combination of torn muscles, torn tendons and ligaments, dislocations, fractures and osteoarthritis means my dream (not entirely accurate) of running a marathon will never be realised. So I kept riding and figured I would just cuff it on the day. 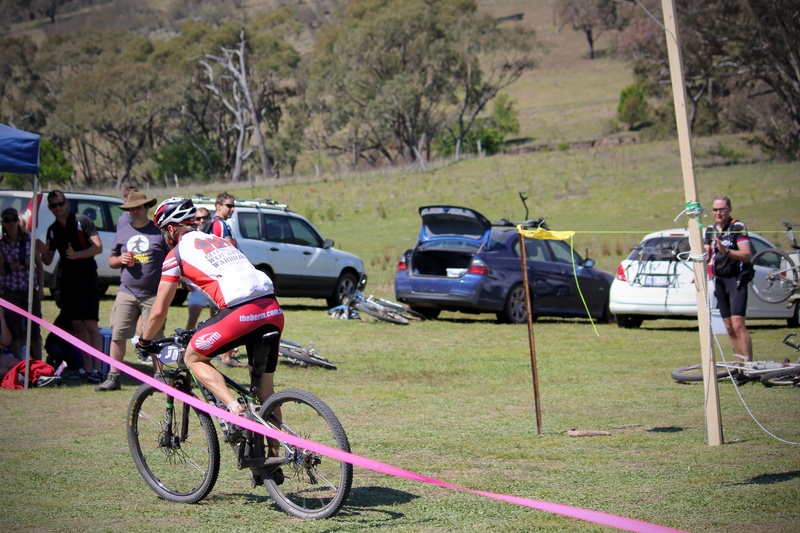 My preparation was quite similar to that of a mountain bike race. Clothes for the event, hydration and nutrition organised, GPS and heart-rate monitor ready and clean clothes for after the race. Once this was all packed in the back of the car I headed out to Caloola Farm to look at the course that had been set up for the 1200-odd participants. 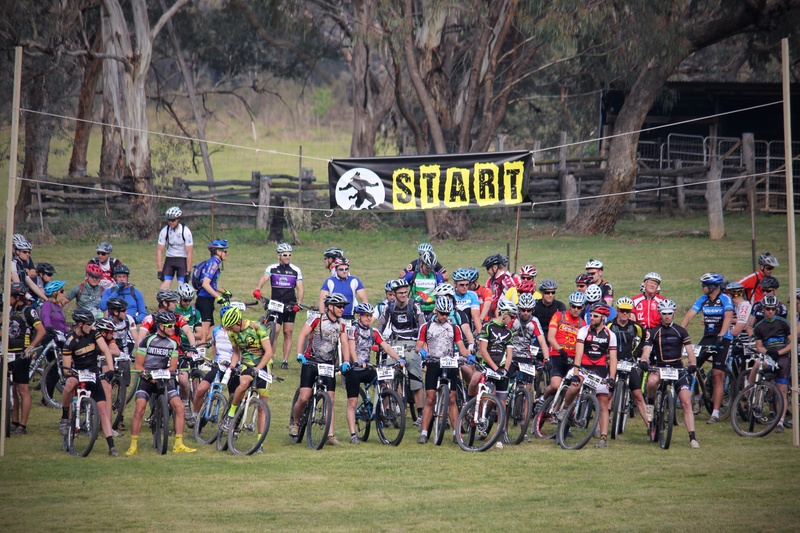 When I arrived at the event centre I registered, donned my participant wrist band and headed off to watch the Last Beast Standing racers attacking the course. 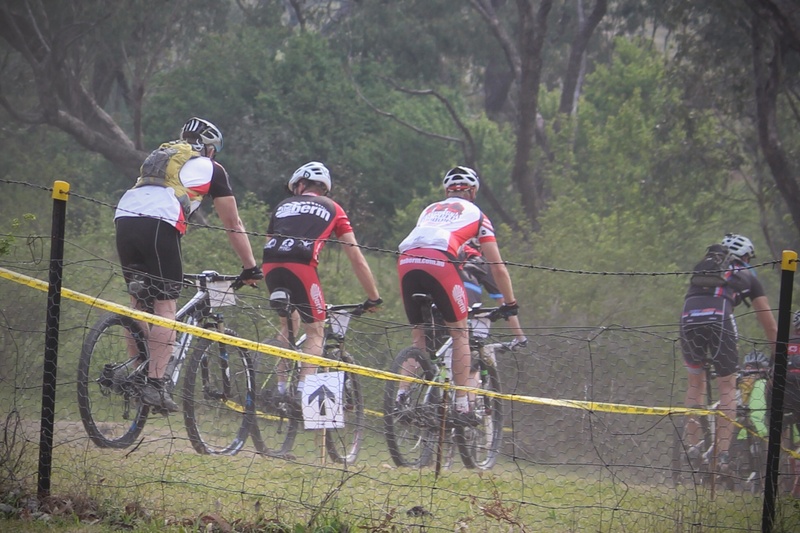 Round 1 of the elite race was drawing to a close and these athletes had 4 more rounds ahead of them. Watching these men and women smash down food and water before heading back out again was awe inspiring and made me quite content with the knowledge that I was doing the Fun Beast. I set up my little spot near the Soldier On stand and chatted with Tony, Anna and Dion for most of the morning. Volunteer Andy K seemed to be very excited about carrying a loudspeaker and I was dreading having to run up to his checkpoint later in my race. As the start time for the first wave of the Fun Beast was getting closer, I got changed into my running gear: shorts, Skins shirt, Soldier On shirt, 2XU calf compression socks, water-suitable hiking shoes and my Garmin Forerunner. 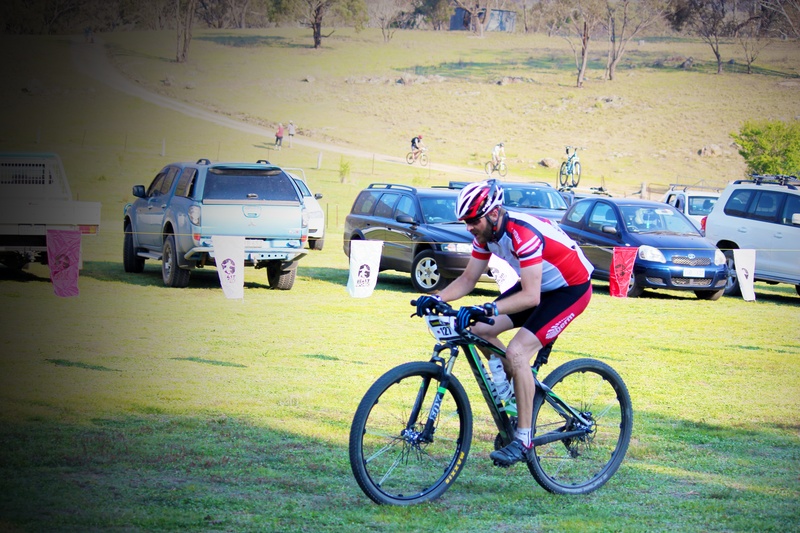 I looked the part and headed down to the start line. I watched as Beast-Worx Dan let the first wave go and then headed down to say hello before lining up with the the second wave. 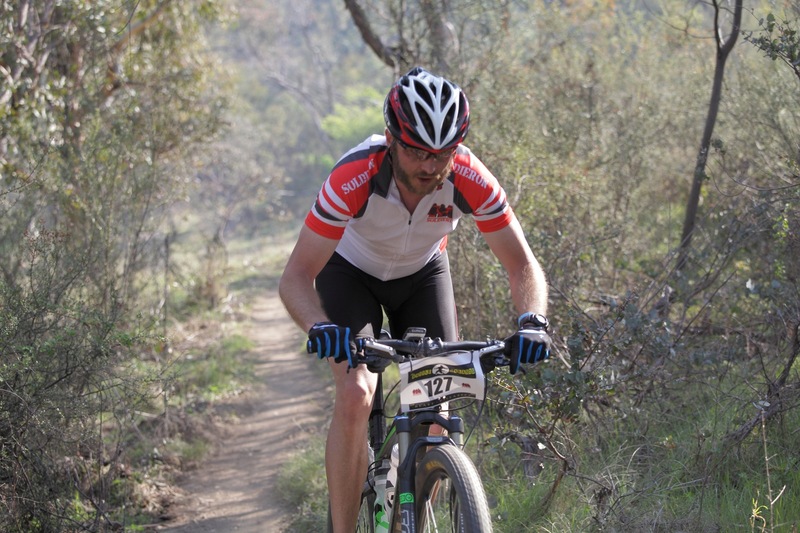 Adam ‘Rocket’ Rolls, my Scott 25 Hour team-mate, was running in a team and as usual he was focused and ready to run. 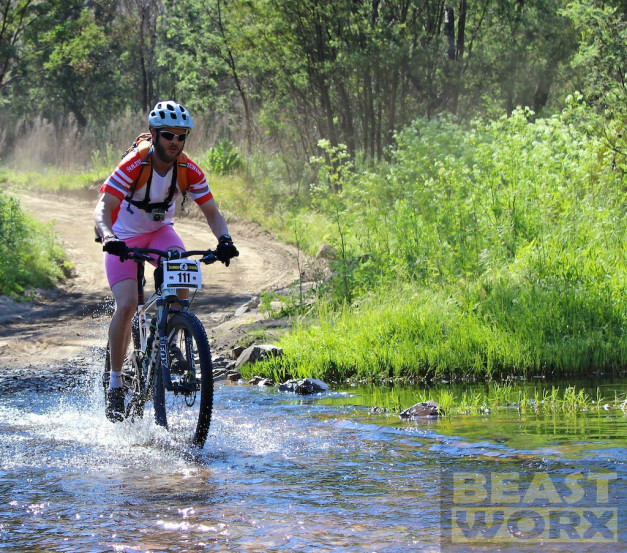 The wave started and I slowly jogged off towards the first few obstacles. I wasn’t taking this event seriously but can honestly say, even with my injury-induced limitations I was making pretty good time through the first part of the course. The obstacles weren’t very difficult and I was able to scale, crawl through, jump over, roll under, climb up, balance on and run over everything without any assistance. It was however extremely simple to spot the people with military experience. Firstly there was the obvious technique in getting through the obstacles and secondly we were the few that stayed on top off walls lifting people up, pulled cargo nets tight, gave boosts, steadied people’s balance and more often than not gave advice on how to do things safely.
.:Waiting to scale the first wall (Photo by Canberra Times):. The obstacles were spread out with a fair bit of running in between. This was always advertised as an adventure race and not designed as a Tough Mudder knock-off like many of the new obstacle races. 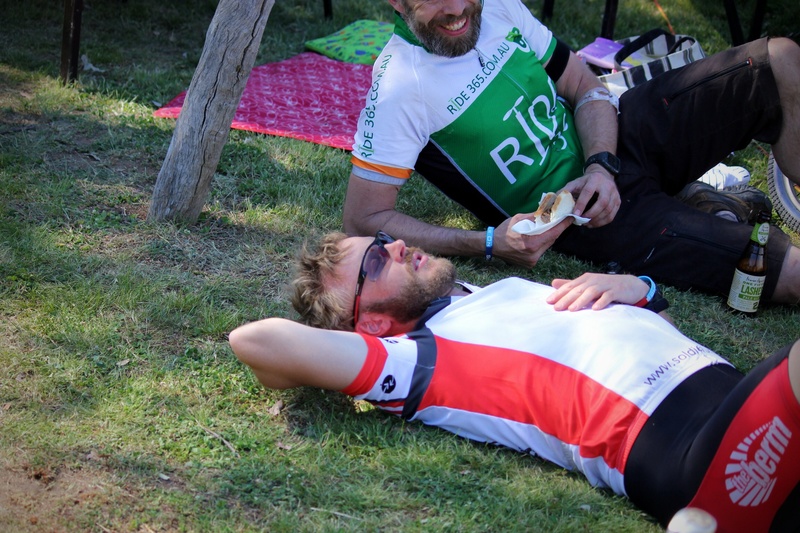 Like the Battle of the Beasts this event’s main aim was to raise money for Soldier On; and with only two permanent staff and an army of volunteers it is commendable that a first time event was so amazing, challenging and fun. 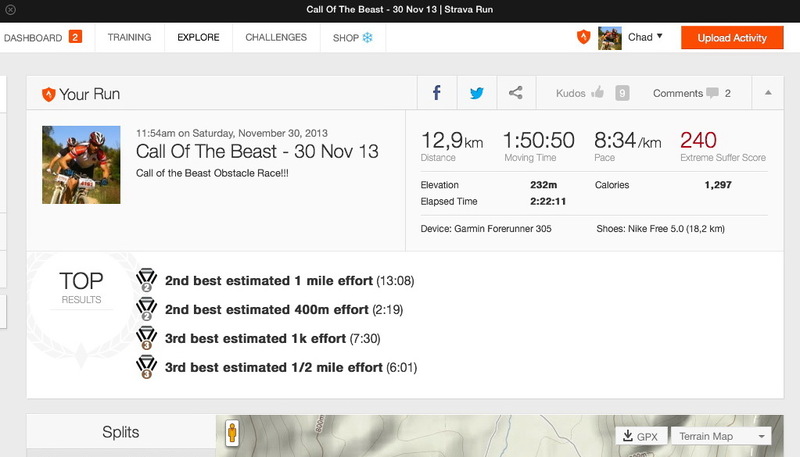 By the time the 11km Fun Beast was over I had run 12.9km in 2hours 22mins. Not the fastest time but a very fun event that I would definitely do again.
.:As usual I kept my race plate (a sly reference to my Army days with the number):. At the end of two big events I had raised $5’790 for Soldier On. Thank you to everyone that donated and supported me through-out these past several months. A brief video of my journey through the Battle of the Beasts so far. The week after riding The Beast has been a quiet one. 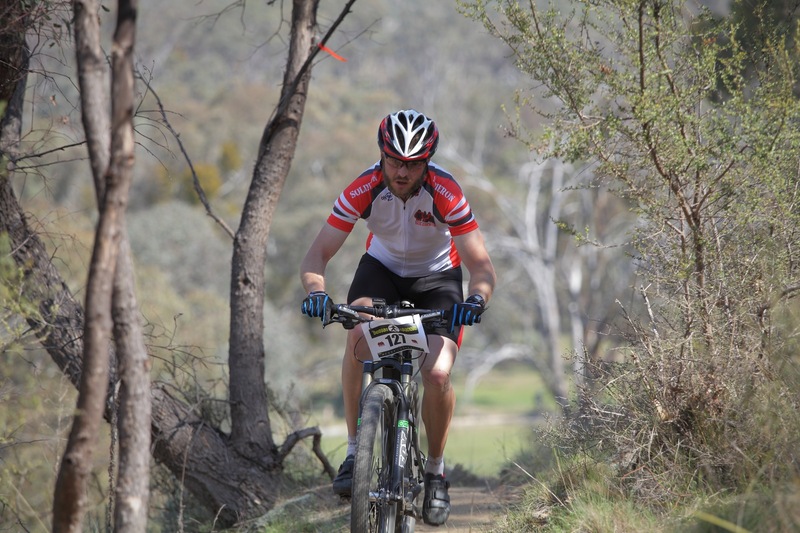 As with last year I didn’t actually start feeling any muscle soreness until 2 days after the race and to be honest I wasn’t exactly chomping at the bit to get back in the saddle. I spent Monday at home cleaning up after a big weekend of riding. 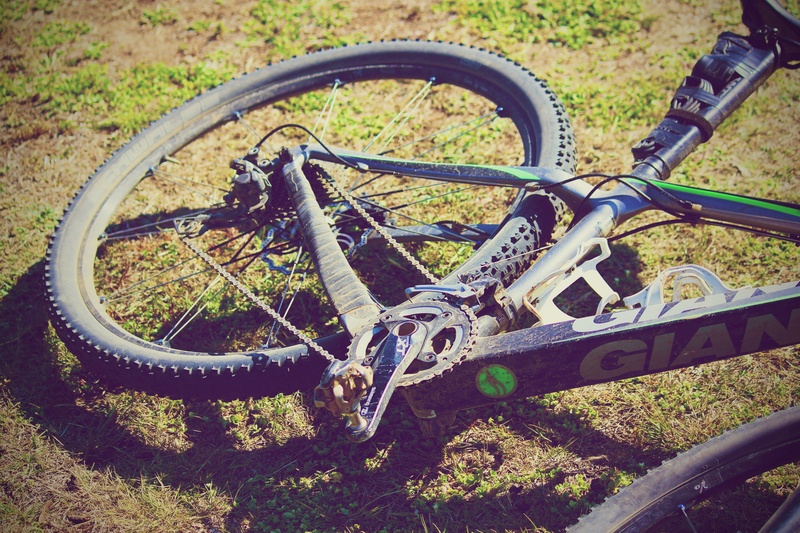 My bike was filthy and sounded extremely second hand and needed a thorough clean and mini-service. The bike wasn’t the only thing in need of a going over; I finally trimmed my hobo beard right down and had my first haircut in almost 3 months.
.:The dirty bike post Beast:. My Crank Brothers wheel-set has taken a beating these past few months and the rubber on them barely survived the Namadgi trails. So the tyres came off and went in the bin, while I scoured Canberra’s bike stores for a set of tubeless rubber. Alas the four shops I visited didn’t have the tyres I wanted so I resorted to buying a set on-line and placed my spare wheels and tubed tyres back on Kate the XTC for the interim. 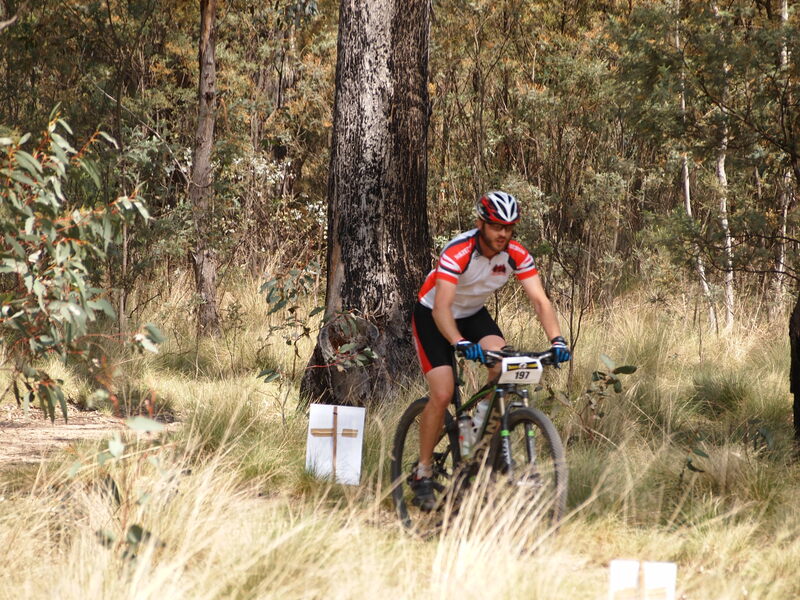 My first ride for the week was a short pedal up and down Mt Stromlo that ended with me riding straight into a tree on the second half of Luge. 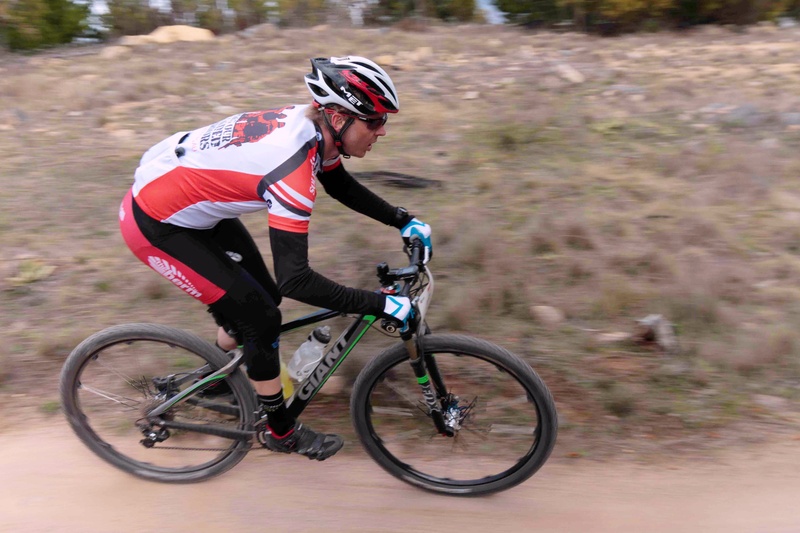 While there was no real damage to person or bike it highlighted how in tune I had become with my XTC with tubeless setup that when I put on the stock wheels I was inches off my normal lines. Not to be deterred I headed back out on Saturday afternoon on Zooey the Anthem. 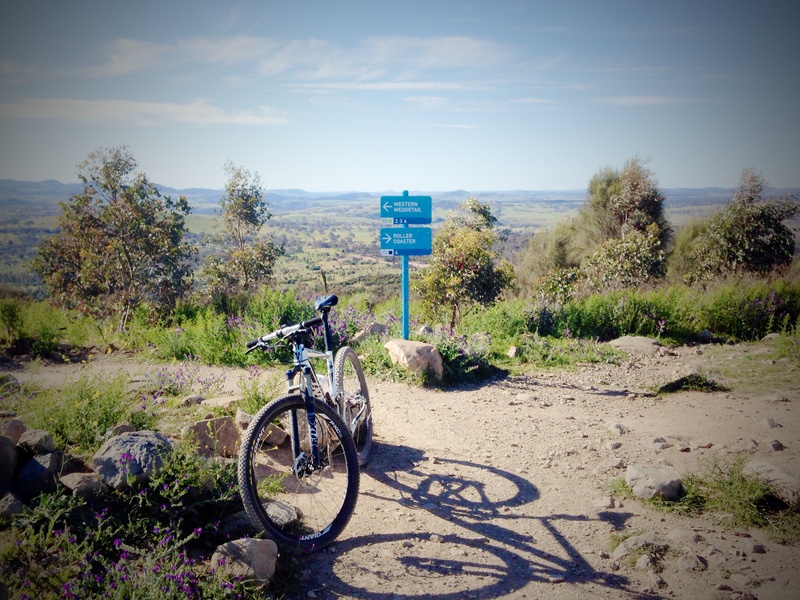 She is a great bike especially going downhill where her dual suspension absorbs much of rough riding Western Wedgetail, Skyline, Luge and Duffy’s Descent throws at you.
.:Zooey On top of Mt Stromlo:. At the end of the week I only rode twice for a measly 23.9km in total. The time off the bike wasn’t for naught with a lot of time spent emailing the Beast-Worx and Soldier On crews about the previous weekend’s riding, fundraising, upcoming Call of the Beast and of course more Riding For Soldier On.
.:Nearing the end of The Beast:.
.:Congratulating Adam “Rocket” Rolls on his hard-earned 7th place:.
.:My right up in the Battle of the Beasts post race report:. The time for the Battle Of The Beasts is almost here! 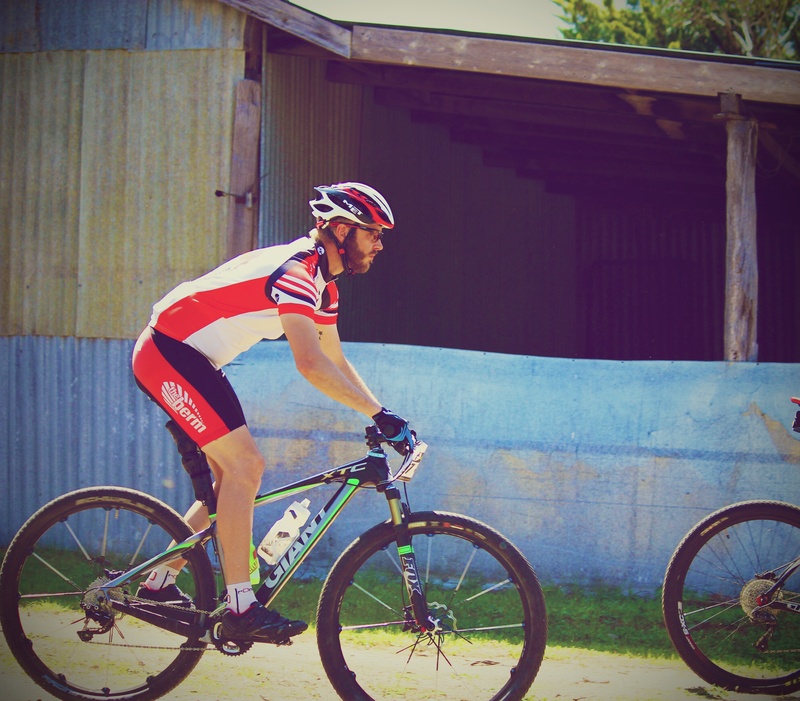 In just a few days I’ll be donning the lycra and Soldier On jersey and heading out to Caloola Farm for the 45km Flowing Beast on Saturday and the 72km Beast on the Sunday. 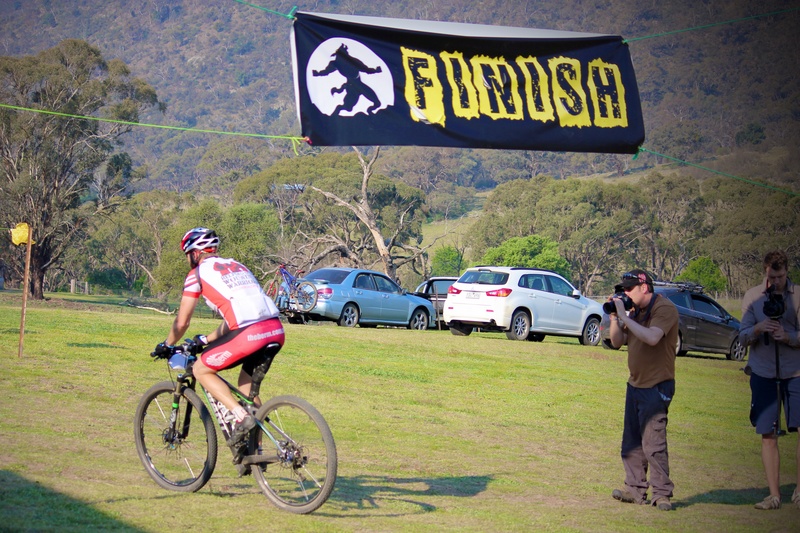 It’s been a hectic few weeks since my last update with a flurry of activity on the fundraising and raising awareness front with a couple of races thrown into the mix. As the weekend draws closer I find myself getting a little nervous and anxious about what the two rides will have in store for me. 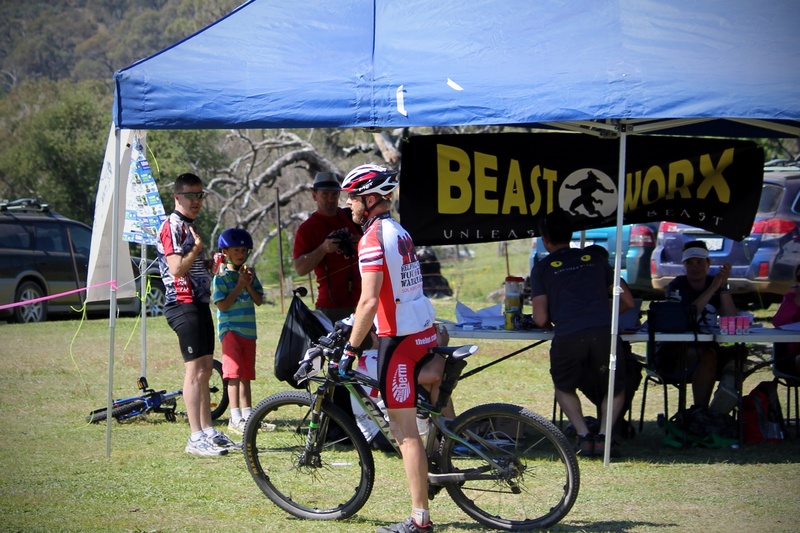 Last year’s Beast was an incredibly difficult ride for me both physically and mentally; and even though I’ve been training a hell of a lot more to be fit enough for this year I still wonder if I’ll have what it takes to cross the finish line. 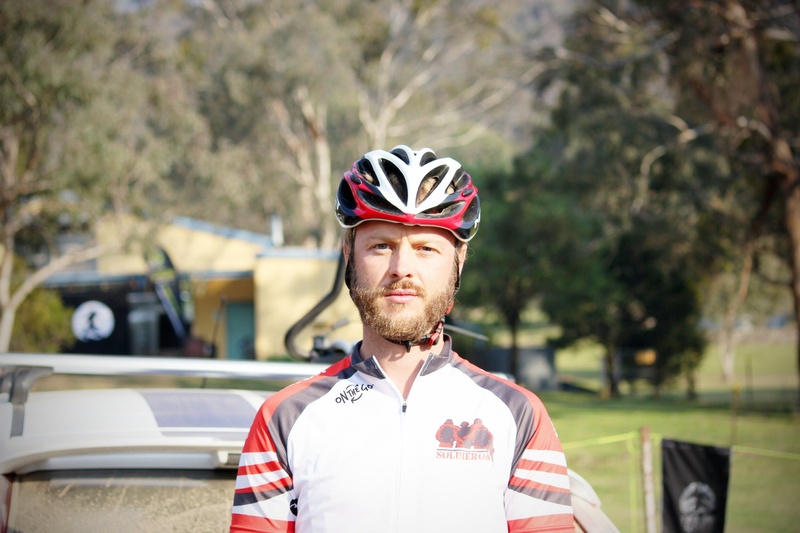 I’ve learnt a lot since last year and have ridden over 5000km since then as well. 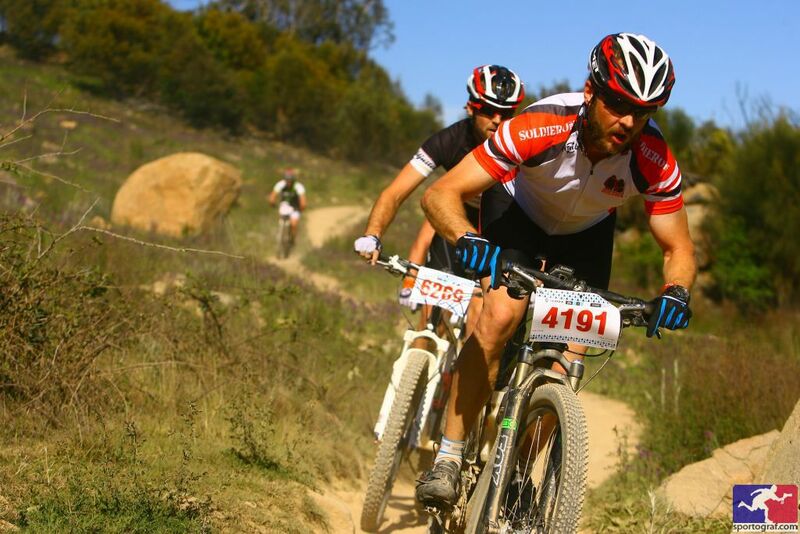 I had only been riding a mountain bike off-road for about 3 months when I rode last years Beast and it was by far the hardest thing I had done physically that didn’t involve me in an Army uniform patrolling in the Middle East with 50kg of gear strapped to me. So what has changed this year? Well, I’m fitter (by a lot), I know what this course has waiting for me (more mentally prepared) and I have a new lighter (better climbing) bike for this years race(s). I have nil intention to flat out race during the Flowing Beast on Saturday; this is more of a meet and greet with the organisers/Soldier On crew and others that are like minded about improving Veterans support services. The big test is the Beast on Sunday. I have been looking at last year’s times including my own fairly ordinary effort. It took me a total of 7 hours and 14 minutes to cross the finish line with only 4 hours and 43 minutes of that spent on the bike. I spent 2 and a half hours not riding my bike last year; that was time spent catching my breath, resting at checkpoints and pushing my bike up hills so slowly my GPS stopped recording my movement. I have a goal I want to attain this year; both for time and overall placing; but that is for me and me alone. Ultimately what this comes down to is me pushing myself to my limits knowing that many, many people have supported me in my endeavour to raise money and awareness for Soldier On. With $4’500 raised so far and $5’702 raised from last year it is incredibly humbling to know that so many people share the same mindset about veterans support as I do. 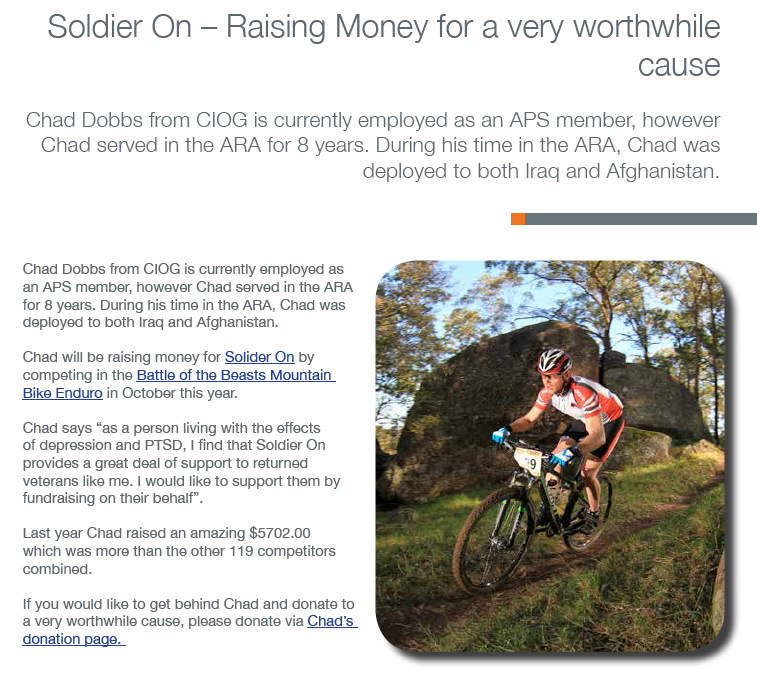 To know that I have raised over $10’000 in just under 12 months for Soldier On is what will get me over the line when my leg muscles cramp and my body starts to ache. 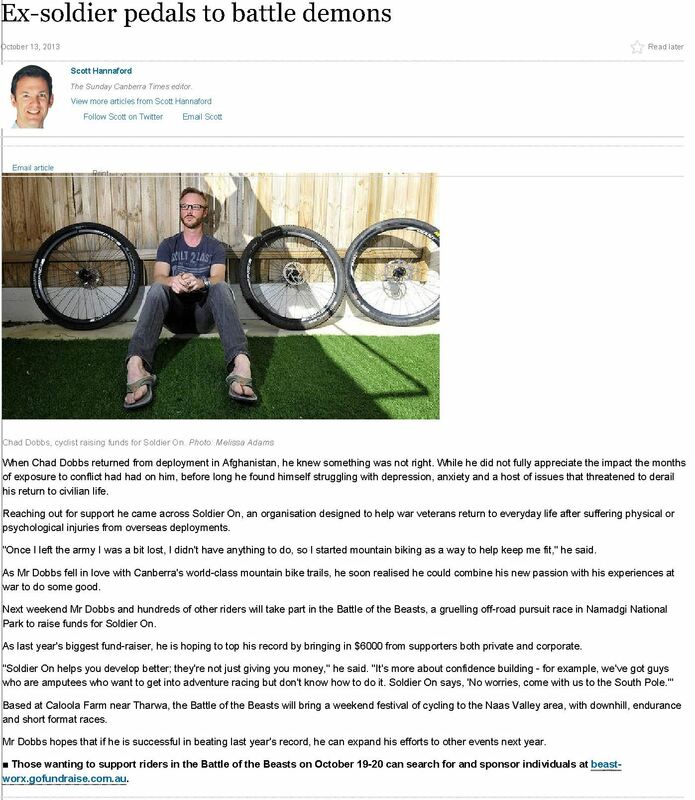 Last weekend the Canberra Times ran a story about my fundraising and motivation for riding cycling. I was somewhat apprehensive about sharing my story to a targeted audience. Blogging is a platform that I regard as a broadcasting medium…I type and post things and push it out to the internet for interested parties to stumble upon and look at. To have a quite personal story printed in the Canberra Times was a decision I made based solely on the positives I hoped would come of it. Many returned veterans don’t speak out about their issues; especially those living with PTSD, depression and anxiety. Everyone has different reasons for wanting or not wanting to speak out. The fact of the matter is that I was not looked after by the Australian Army when I asked for help. That help eventually came from the Army; but only after a Navy doctor stepped in. This lead to me closing up and not talking about the underlining issues for my depressive episodes. I was embarrassed about my behaviour and the stress it placed upon my family and friends; and only after a couple of years did I realise I wasn’t alone in my experiences. Hopefully by me speaking out about my experiences living with (I hate the terms suffering and battling) PTSD and depression it will empower others to put their hands up and ask for help and hopefully one day share their experiences with the wider world and inspire others to do the same. Thank you very much to Canberra Times Sunday Editor Scott Hannaford and Photographer Mellissa Adams for spending a quiet Sunday afternoon at my house and listening to my story. With three weeks until the Battle of the Beasts I’ve ramped up my fundraising and awareness-raising campaign a little more. 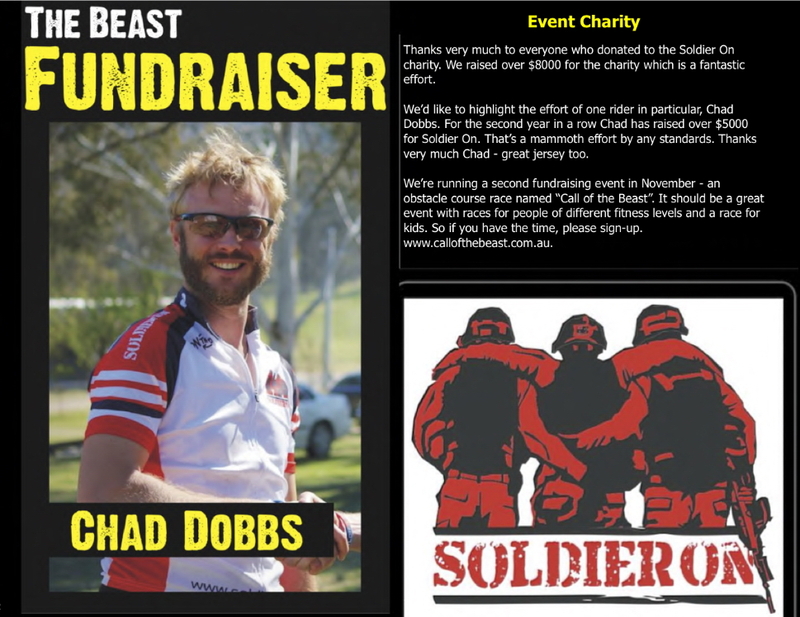 Currently $2’630 has been raised for Soldier On and with the Beast and Call of the Beast still to come in November there is plenty of time left to raise more money. Upon returning back to work this week, I discovered that my group, CIOG (Chief Information Officer Group), had published an article I submitted a few months prior in the CIOBis Magazine. It’s been a slow uphill slog to get to where we are so far and I’m hoping that with a couple of weeks of training and fundraising left before the big ride I can add some more money to the total. After almost a month off the bike due to getting married and travelling to Asia for my Honeymoon it’s time again to start the training and fundraising. A huge $450 was gifted to Soldier On by the guests at my Wedding and so far we are at a very impressive $2’630 which is a little under half of last year’s amount. There is still 25 days before the big Battle of the Beasts weekend and 66 days before the Call of the Beasts so there is plenty of time to raise my goal of $6’000. It’s been fairly tough trying to get any sort of business or corporate sponsorship for my fundraising; I’m currently 0 from 26 requests! So I’m hoping that my supporters will spread the word and share my Facebook page so that I can keep raising awareness and much need money for Soldier On. It’s been a fairly hectic month since my last Battle Of The Beasts update. 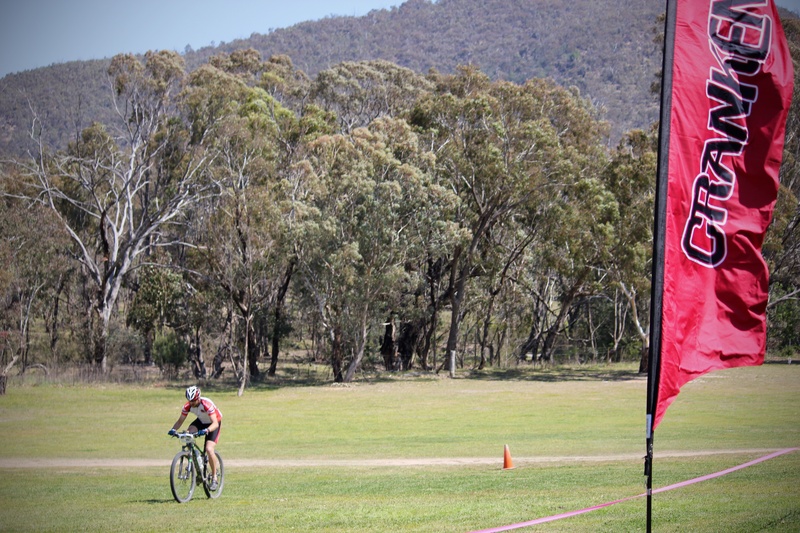 I have spent plenty of time in the saddle training, managed a short trip to the snow at Perisher and managed to squeeze in a few cross-country races in and out of Canberra.
.:CORC XC Round 4 at Mt Stromlo (if you look closely you can see my mullet):. 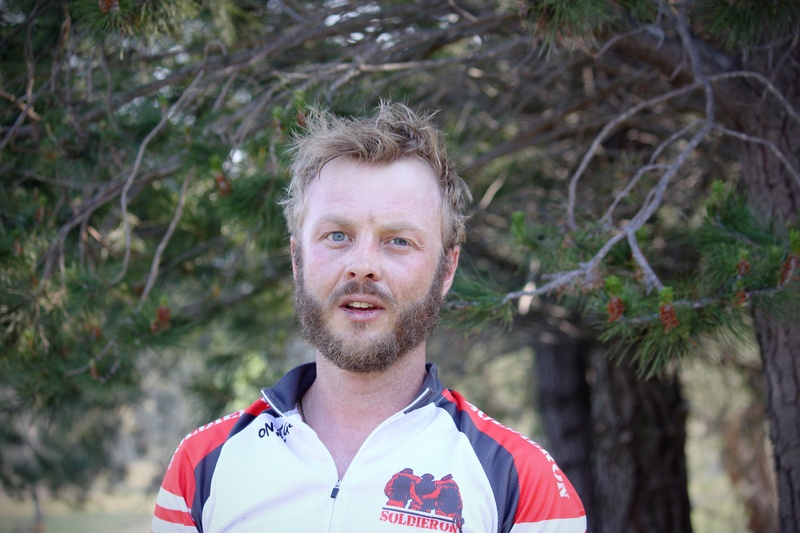 The highlight for this past month has been the opportunity to travel to Dargle Farm for the JetBlack WSMTB 12 Hour with some of The Berm riders and Pedal4Pierce co-founder Nigel Jeffreys.
.:Soldier On at the JetBlack WSMTB Dargle Farm 12 Hour:. 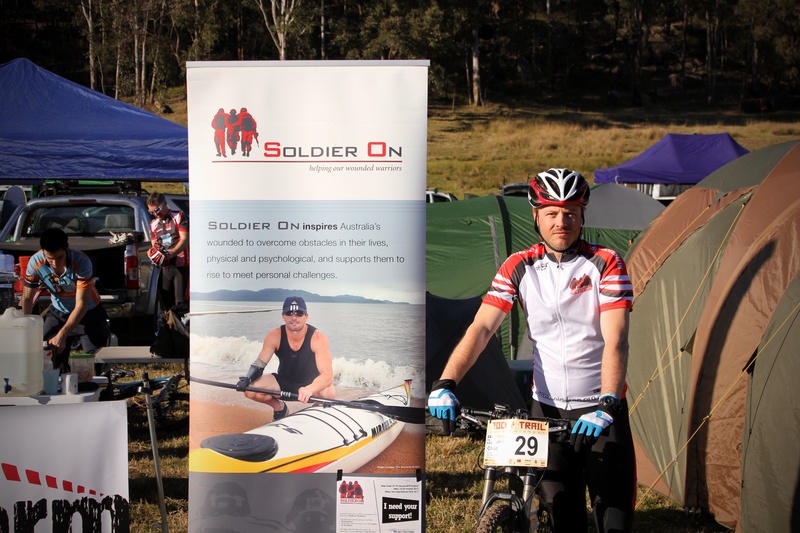 Even though I DNF’d during my first 12 hour mountain bike race due to illness, I had the honour of representing Soldier On at a huge mountain biking event. 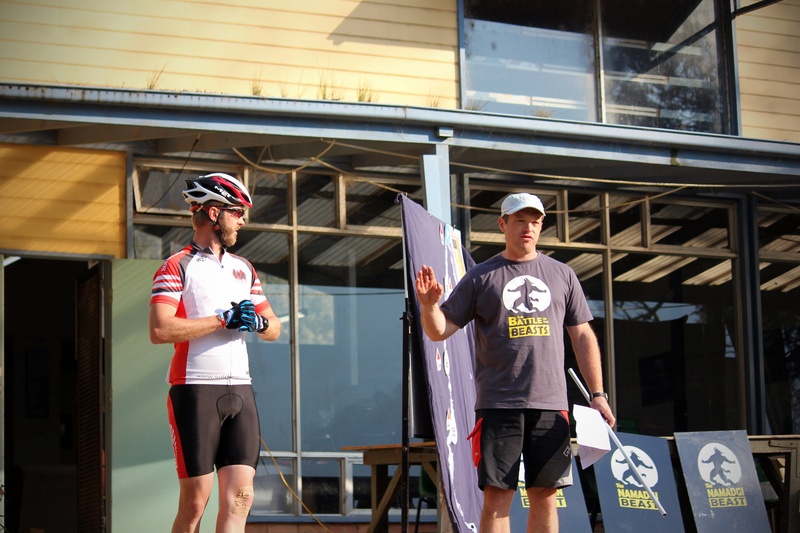 There were a lot of questions from other riders, the event organisers and the Flow Magazine guys about Soldier On and why I ride for and fund-raise for them. 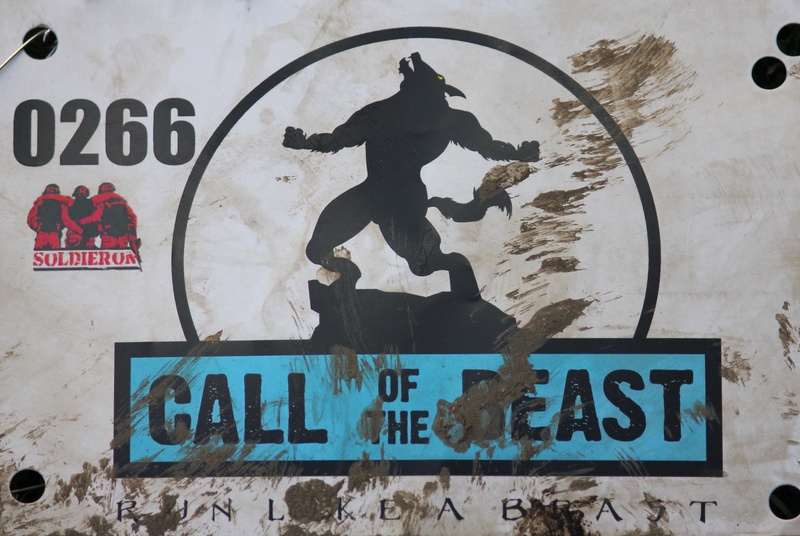 I’m also very excited to announce that the guys from Beast-Worx, the organisers of the Battle Of The Beasts; have invited me to compete in their next venture: The Call Of The Beast. 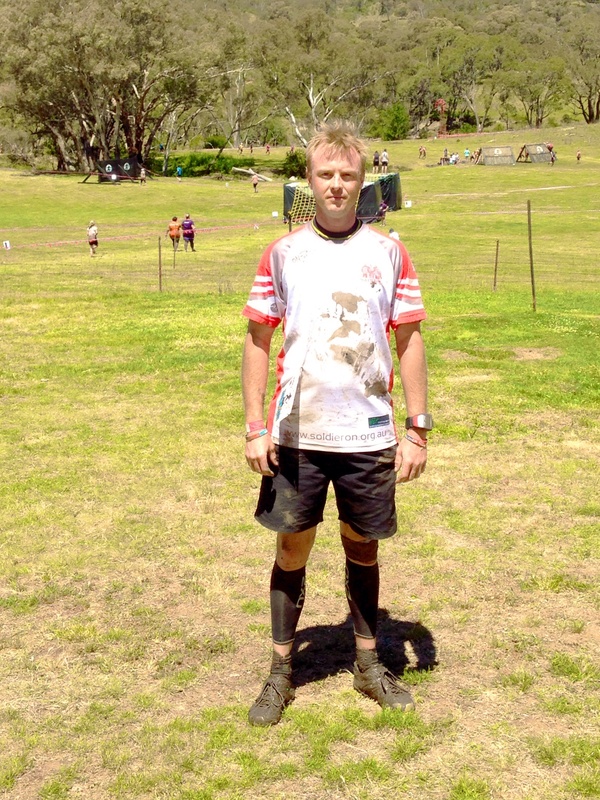 The Call Of The Beast is Canberra’s/ACT’s first adventure obstacle race. I’m very excited to be a part of this and incredibly grateful that they are willing to support me in my fundraising for Soldier On. 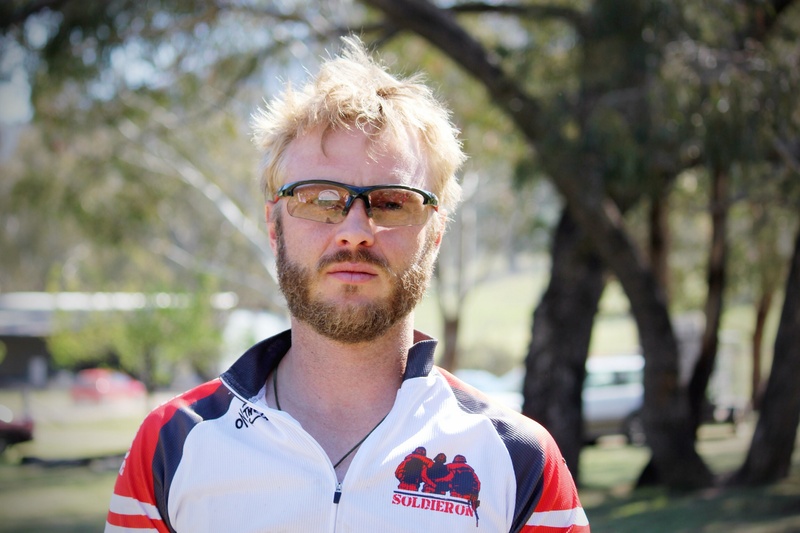 The Beast-Worx crew are staunch supporters of all Australian Veterans and Soldier On. My training for the Battle Of The Beasts has been going well despite a bout of illness and a week of nil motivation to train. 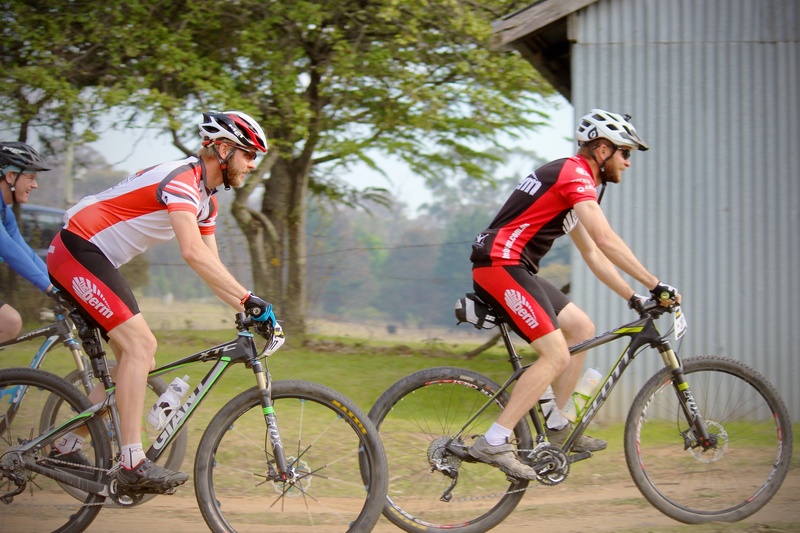 In the lead up to my Wedding I’ve decreased the amount of riding I have been doing but will increase the tempo dramatically in the weeks after and leading up to The Beast.